Hola, readers! I hope everyone is enjoying the early September vibes. Personally, I am having a very leisurely three-day (YES, THREE DAY!) weekend. I thought that this particular Sunday called for an indulgence at brunch time. You know, to celebrate my leisure. 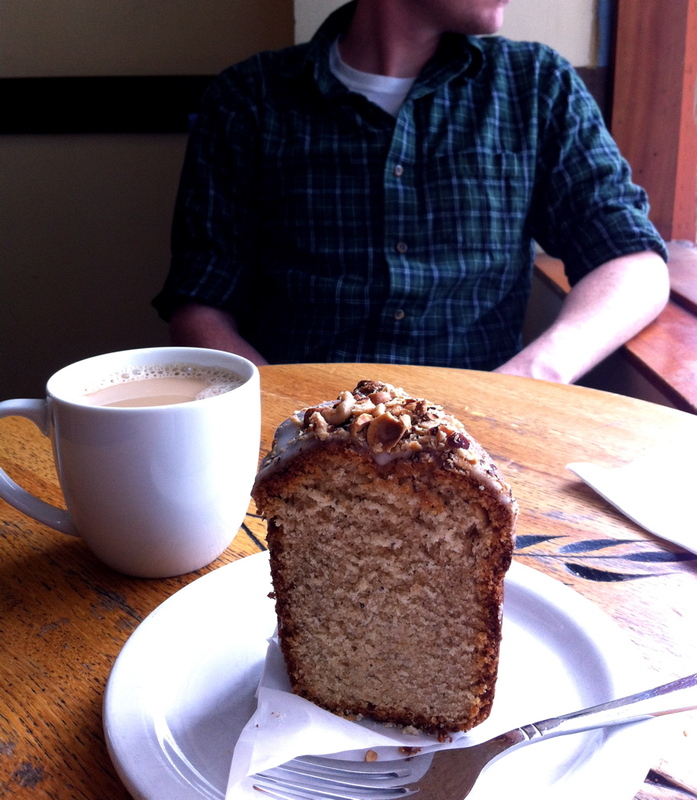 Post-meal verdict: Try a towering slice of hazelnut pound cake at Ken’s Artisan Bakery on NW 21st. Crumbly, moist, and quite light. It paired perfectly with a cup of Stumptown Coffee. After looking through the various “pound cake” items in the Weight Watchers database, I estimated that my piece was worth approximately ten points. Just to be safe, I decided to say “yes” when my mom asked me to join her in earning activity points this afternoon. We did one hour of hiking/walking on a Tryon Creek trail near our house, which earned me an easy 5 points plus. It was the perfect Sunday workout: light, long, and once again, leisurely. Yesterday, I took a solid look at my calendar and recalled the days in which I exercised. I found that I was only exercising three days a week, when I really would like to be doing four. Considering that I am currently basking in a three-day weekend, there really is no reason why I can’t find the time to get four workouts in. So I made a decision. A new rule, if you will. From now on, I have to work out on my days off. PERIOD. Oh, and I have to write. Even if it’s light, I have to write. → Discipline isn’t, discipline is.